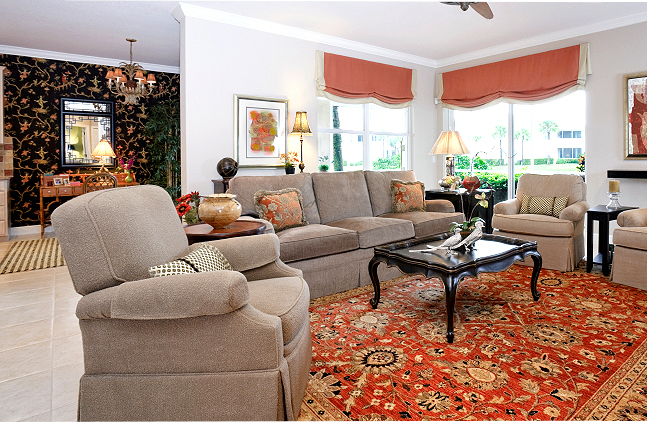 The size of your area rug should complement the size of the room, and will be influenced by how the rug will be used. 5’ x 8’ area rugs look great beneath most coffee tables, and 8’ x 10’ area rugs generally work well in dining rooms. To determine the ideal rug size for dining rooms with oversized tables, measure the table and add four feet to the length and width. If you want your area rug to cover an entire room, allow for 12 – 18 inches of exposed floor to frame the room. Still not sure? Contact The Rug Store and we will come to your location, measure your space and help you determine the best area rug size for you.